You are here:Home-Domain.com-Should You Invest in a Premium Website Domain Name? Should You Invest in a Premium Website Domain Name? Soft cover or hardcover? It’s every book nerd’s classic dilemma. The choice is yours, but given the choice, I’d skip the paperback. Any worthy investment will consider the long term, such as a hardcover that sticks around after decades of rereads, while the soft cover disintegrates. If you don’t believe me, I have a few titles older than my grandmother for you to borrow. Your domain name is a similar investment. 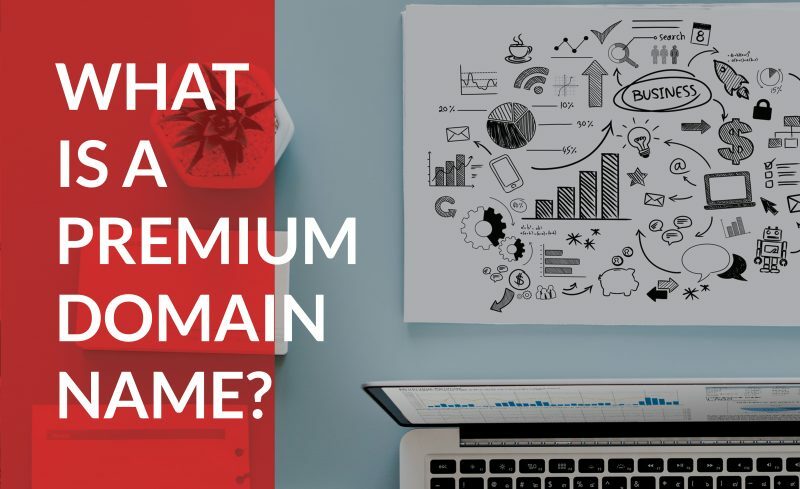 Your business could be successful with a second rate domain name, but a premium domain name bumps up your business in quality, trust and traffic. That long term thinking may in fact separate your business idea from your competition, because on the Internet, nothing is as powerful as a premium domain name. Hit the books and learn the secrets behind a premium domain name, below. Don’t settle for a second rate domain name, start your business with a head start and invest in a Premium Domain from Domain.com. Your main goal for setting up a website is to spread word of your business and products far and wide across the internet. Investing in a premium domain name will create a more memorable brand around your website and business. The easier it is for customers to remember your domain name, the more likely they are to type it into the search bar. If your business is looking to stand out as a leader in your industry, your domain can also help boost your credibility. Instead of spending money advertising a domain name for your landscape business such as MyGardenSupplyStore.net, a premium domain like BetterGardens.com will establish you as a thought leader. This will make it easier for your customers to come to you. Since premium domain names are more memorable, your business will get a head start when trying to build traffic to your site. Premium domains often have popular search keywords included in the name, which means your potential customers may already be typing in your domain and looking for a business just like yours. As premium domain names draw more value, sometimes the name you want to buy has already been owned by a similar business that no longer needs it. This means your domain name may already have traffic from around the internet pointing towards it, and have a higher rank with search engines than a new domain fresh out of the box. Leveraging this established traffic will help you boost your business ahead of the competition even faster. Like a library full of hardcover books, your premium domain has a lasting value that stands up on its on. When investing in a premium domain name, even though it may have a higher price, the resale value will be higher than a domain that no other business will be interested in. As your business builds search equity and traffic for the premium domain name, its value increases with it. If you later decide to sell your business or pivot into a different market and no longer need your premium domain name, it becomes a saleable asset that can help you come out with capital for your next business idea. Since premium domain names are so valuable to businesses and brands all over the world, they’re often sold with a price tag that reflects its worth. You may wish to have the perfect domain name at the start, but if your business is still just getting off the ground, you can hold off and upgrade to a .com later when you have more cash flow. The URL Facebook.com, for example, used to be TheFacebook.com. After the company received their initial traction, they were able to upgrade to a better domain. Putting all your capital into your domain name may not be the best choice if you’re still trying to get your initial idea off the ground. A less expensive domain name can get you started. If you invest in a premium domain name with a look to the long term, your new idea could take you anywhere you want to go, growing in value alongside with your business. Use a premium domain to bump up your brand’s trust and traffic, because on the Internet, nothing is as powerful as a premium domain name.